Our school year has finished up and I wanted to give you all a list of the books we have used for history. My last list was on Jefferson’s presidency. This one is going to cover those of Madison through Polk, obviously a much longer span of time. There were a number of presidents we didn’t send too much time on. 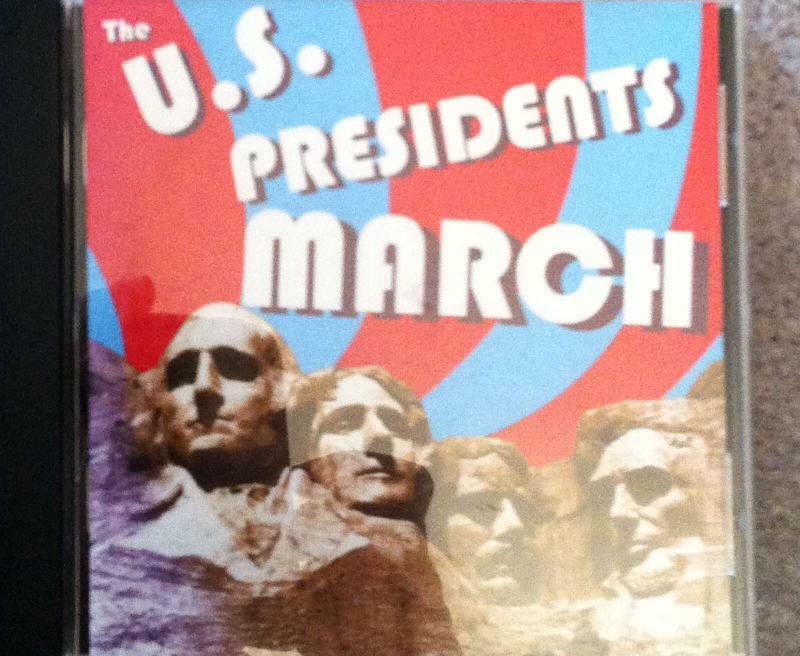 We used our spine books to make sure we got the essentials, but not every kid read about every president. You can find my master list of history book lists here. Our spines were, as they have been, This Country of Ours by H.E. Marshall and The Story of the Great Republic by Helene Geurber. I like using both because I find each of them a bit sparse and hope that the two together will give us a more complete picture. They are both very readable and entertaining though. We also read Mike Venezia’s biography on each president. 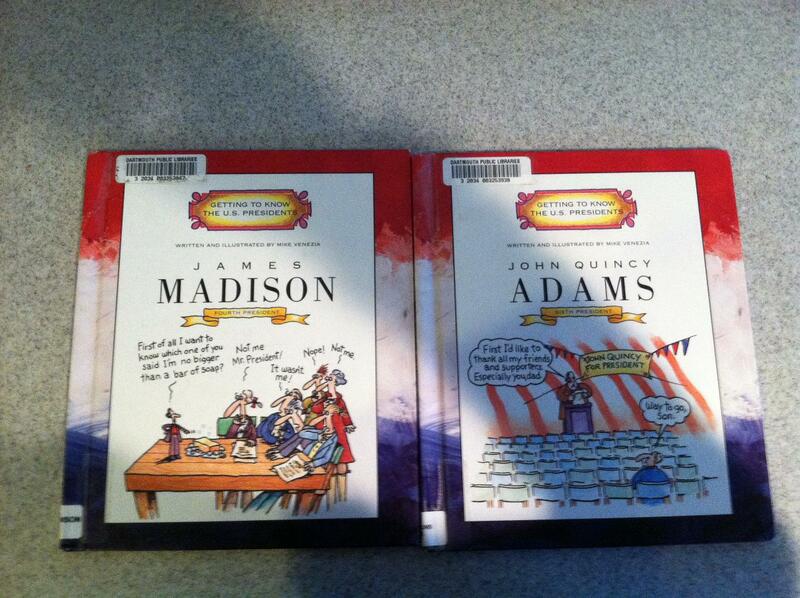 These are amusing, albeit simple, biographies with cartoon like pictures. The younger kids especially look forward to them. 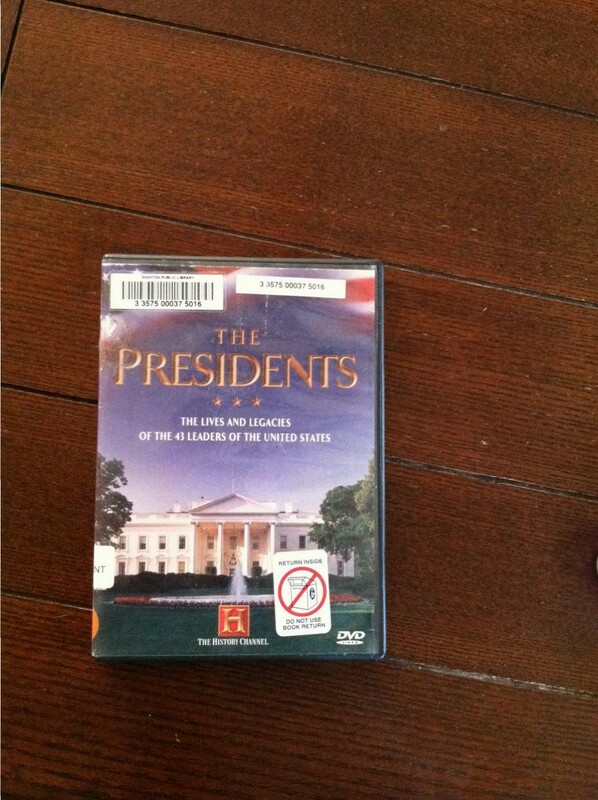 Another resource we used all together was the History Channel’s DVD series on the presidents. Each one is covered fairly briefly but we did get some information we didn’t get elsewhere and a video is always a nice change of pace. We borrowed it free from our library. It’s great if you want to memorize the presidemts and/or first ladies in order. Once upon a time someone gave me bunch of books on Madison and Monroe so as far as I was able I used what I already had. 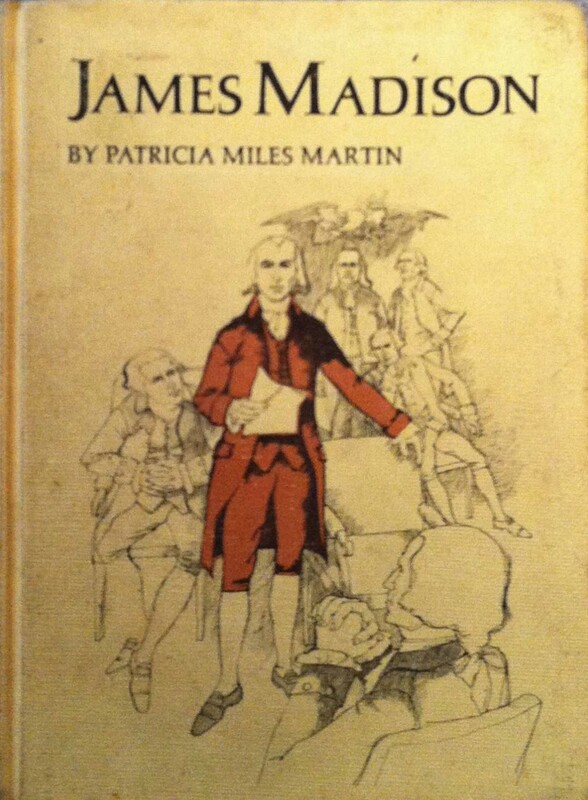 My 4th grader read James Madison by Patricia Miles Martin and James Monroe: Good Neighbor Boy by Mabel Cleland Widdemer. Both were the sorts of books that tell you a lot about the character’s youth and not so much about their later career. I thought that was fine for her age. They were definitely stories and she seemed to connect well with them. 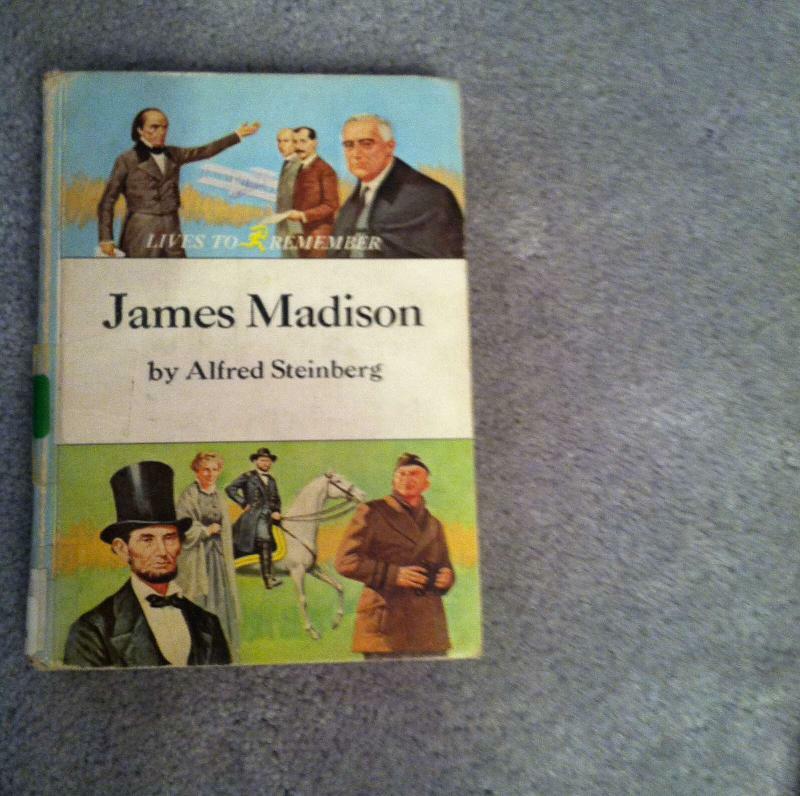 My 5th grader read James Madison by Alfred Steinberg. It was a little tougher than the books his younger sister read. My 8th grader read Great Little Madison by Jean Fritz. Fritz is a favorite author. Her books vary in length and difficulty. I’d say this one was 5-8th grade level. I think she read it easily in a week. (This seems to be the one book I didn’t get a picture of 😦 ). 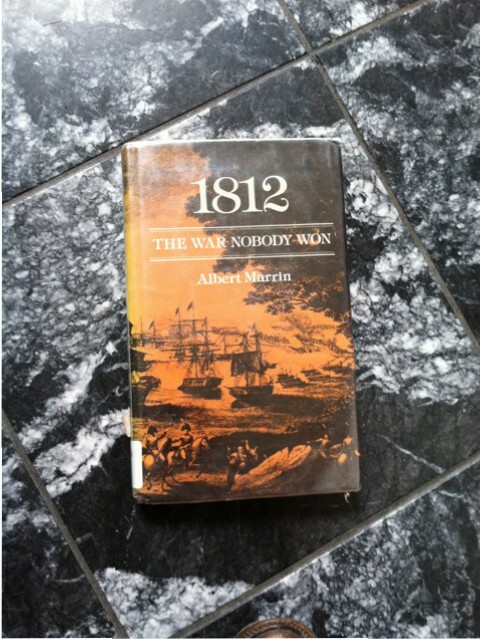 My 9th grader read 1812: The War Nobody Won by Albert Marrin, another favorite author of mine. I get his history books whenever I can find them. 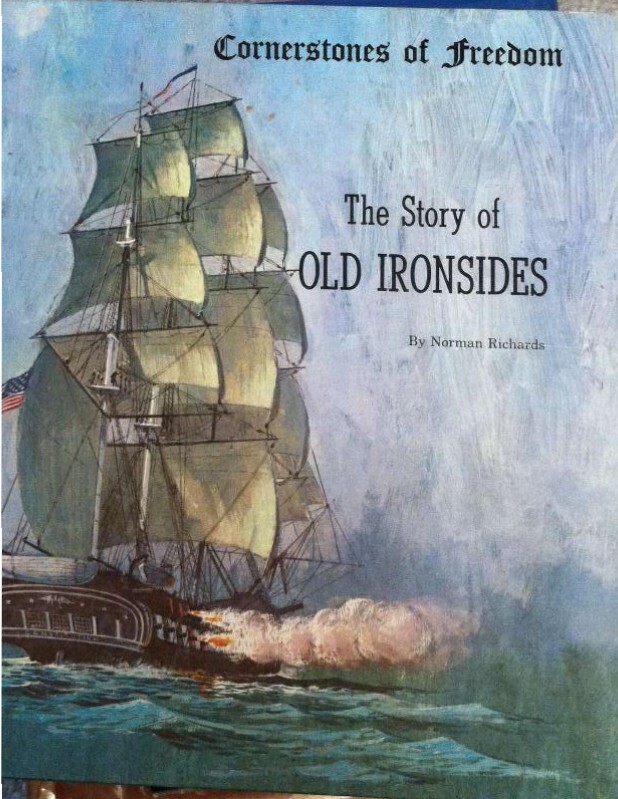 On the topic of the War of 1812 I also read The Story of Old Ironsides by Norman Richards aloud to them all. We have visited the USS Constitution once and hope to do so again soon so I thought reading about the history of the ship would be good. We used only a couple of books on John Quincy Adams. 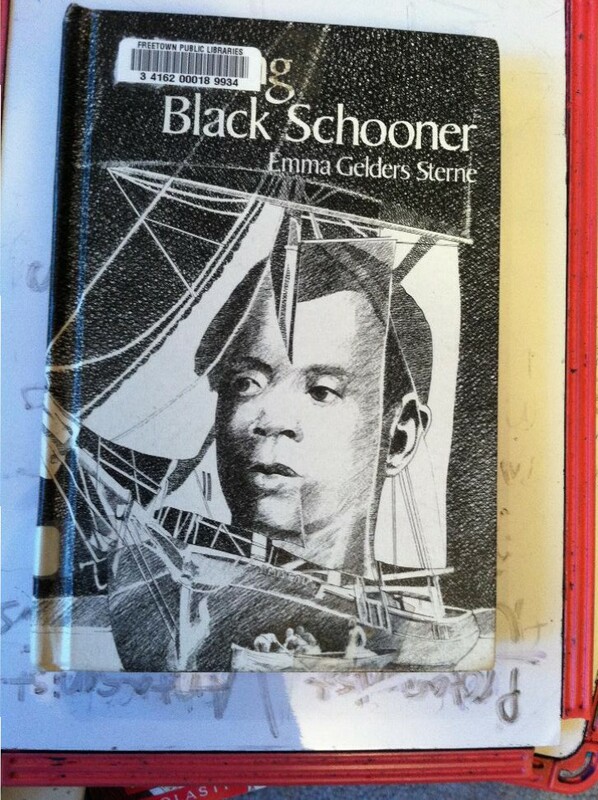 My 8th grader read Long Black Schooner by Emma Gelders Sterne. This is a highly recommended telling of the Amistad slave ship story. It apparently has other editions under other names so you may have to poke around a bit to find it. It seemed like a pretty good story though I’m not sure she got the connection to Adams. 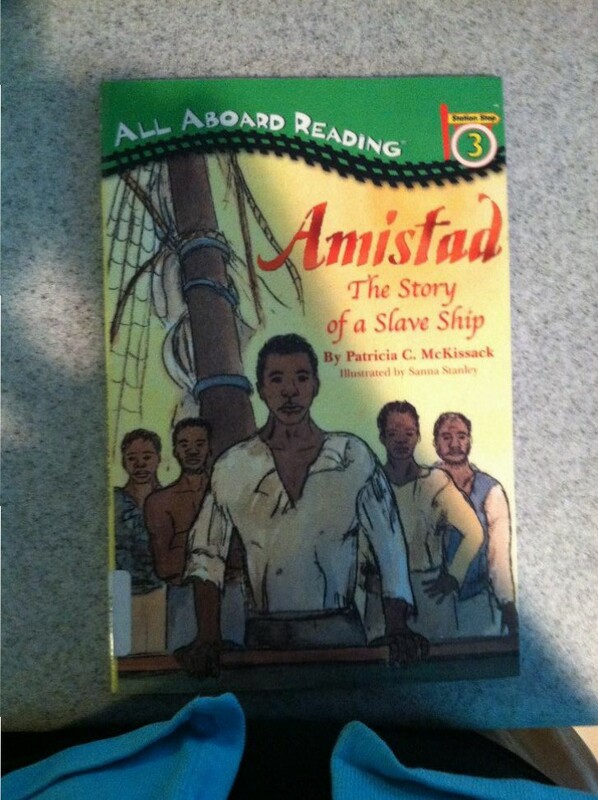 My 4th grader read Amistad: The Story of a Slave Ship by Patricia McKissack. I didn’t actually assign this book to her. It was laying around and she read it on her own so I didn’t have her narrate. She read it pretty quickly and didn’t seem too impressed but if you want to cover this event with younger kids it could be a good choice. 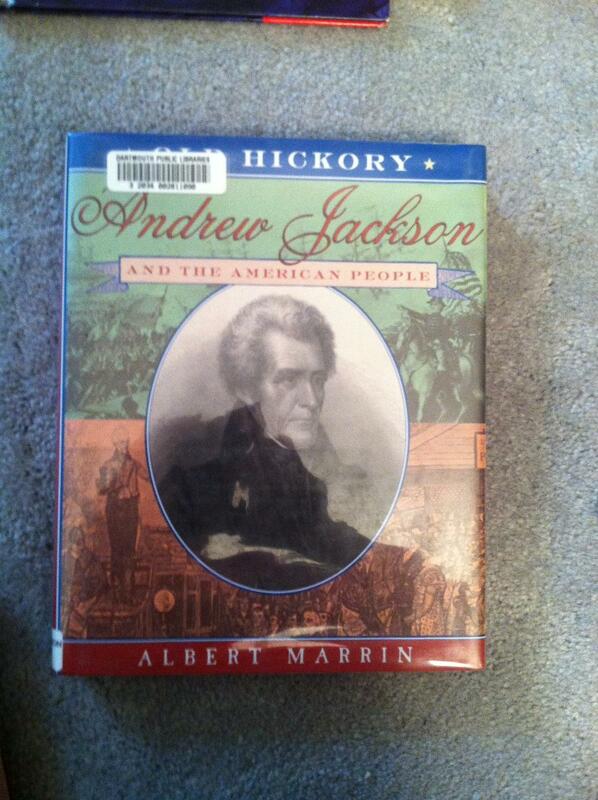 Another Marrin book – my 9th grader read Old Hickory: Andrew Jackson and the American People. He might be getting sick of Marrin but he narrates them so well I can’t resist his books. 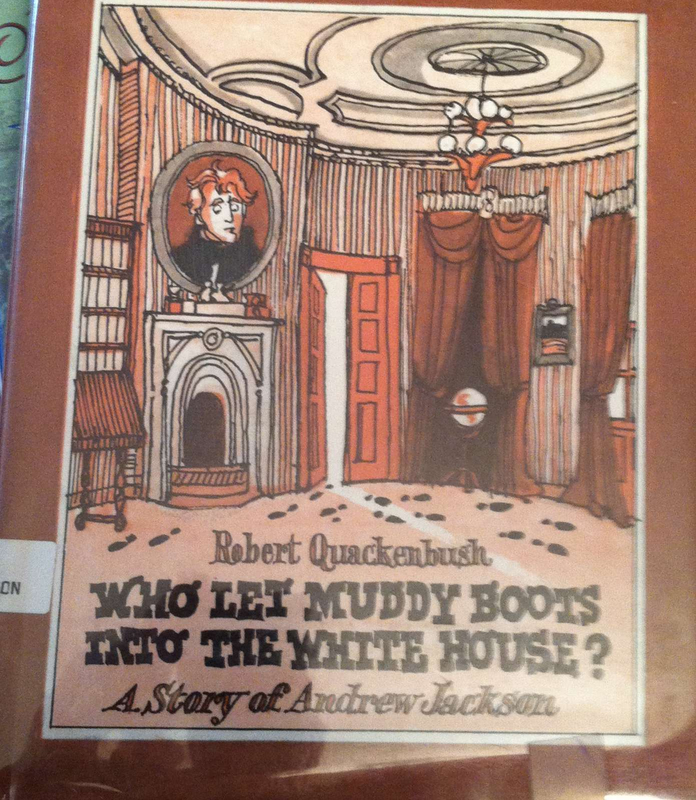 Two silly books – my 5th garder read Robert Quackenbush’s Who Let Muddy Boots into the White House? A Story of Andrew Jackson. I’d say 5th is the upper end for this book. He couldn’t tell me at the end though what muddy boots had to do with it. 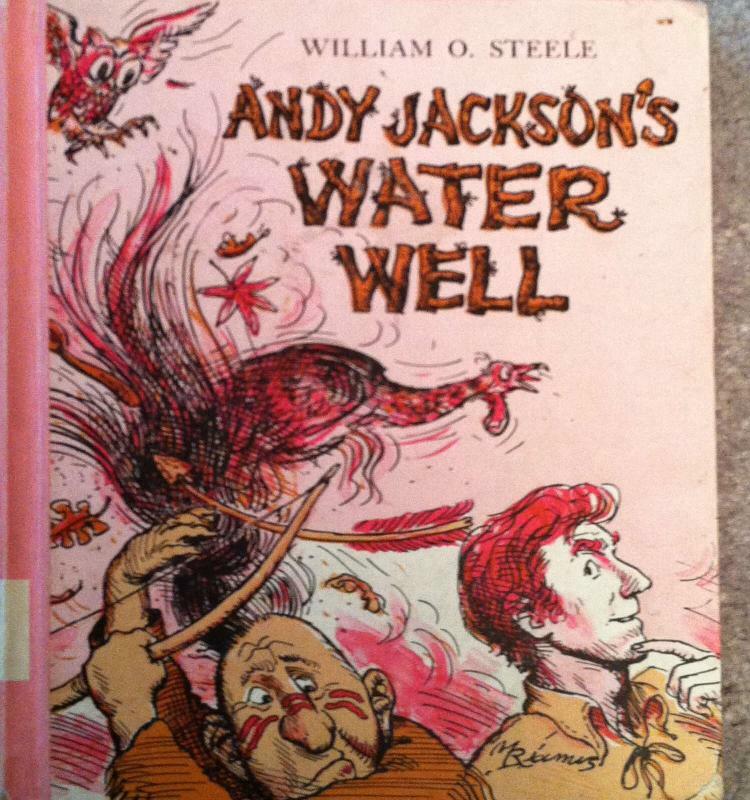 My 4th grader read Andy Jackson’s Water Well by William O. Steele. Steele is another favorite. This book is shorter and easier than most of his and is definitely a tall tale. There’s not a lot out there on Harrison, Tyler and Van Buren. 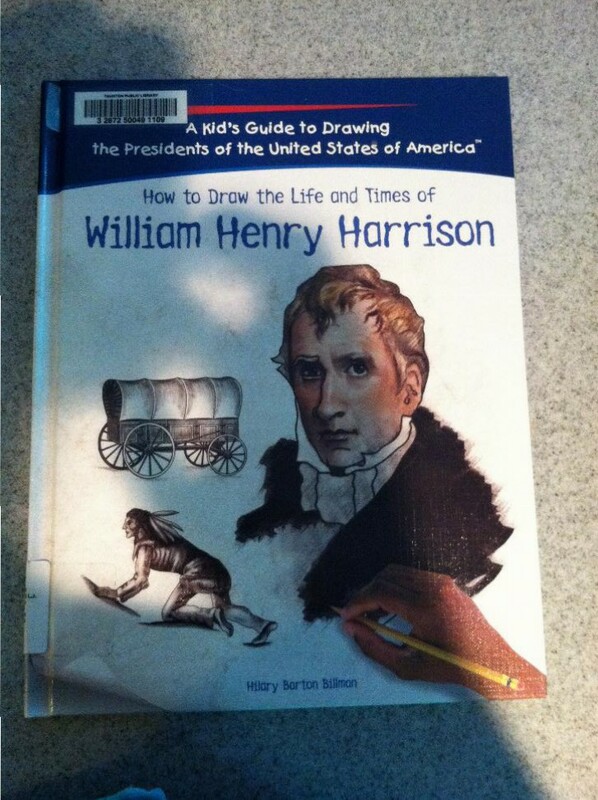 We checked out How to Draw the Life and Times of William Henry Harrison by Hilary Barton Billman though no one ended up using it. This book is part of a series and I love the idea, but in practice the drawing projects were not too interesting and the content was not terribly impressive either. The books in the series seem to have different authors though so other ones may be better. My 8th grader read Tippecanoe and Tyler, Too! by Stanley Young. Since Harrison spent only a month in office, this book is mostly about his life pre-presidency. 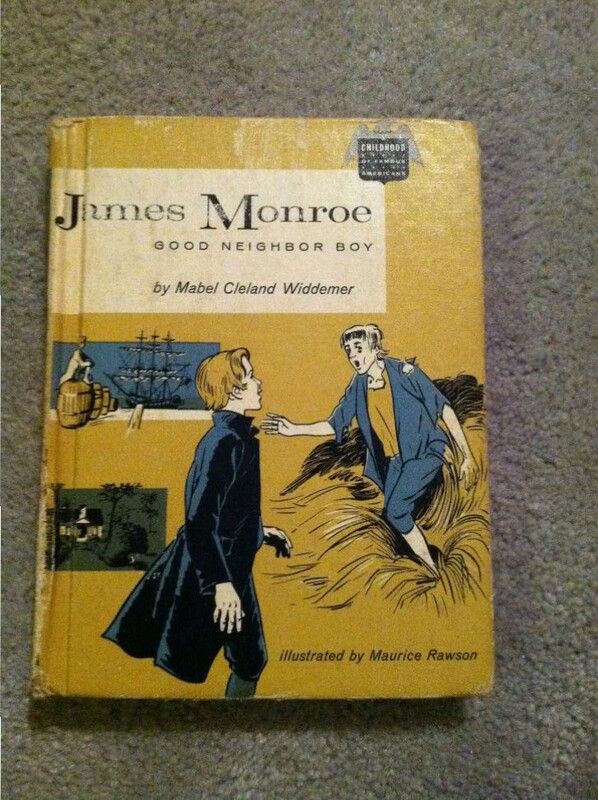 It is an older book and seemed decent. It was not a hard read and could be used by a younger child as well. I’d call it middle school level or even upper elementary. 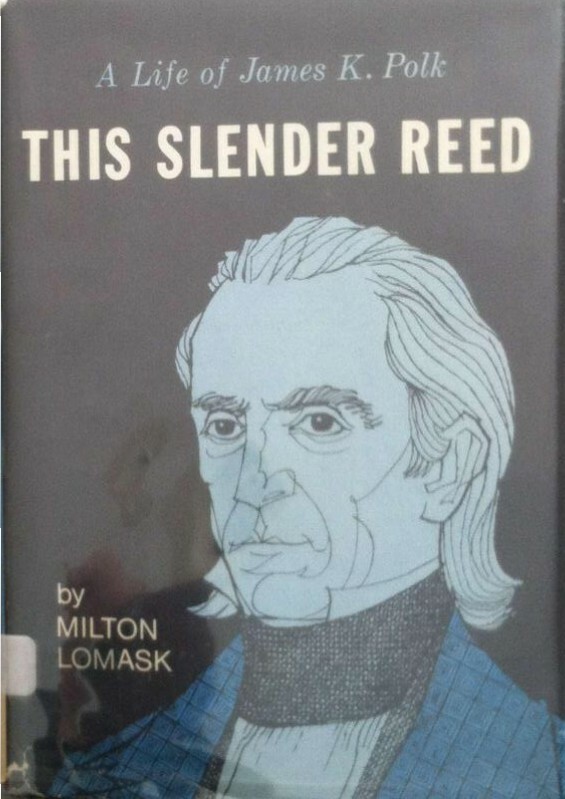 My 9th grader read This Slender Reed: A Life of James K. Polk by Milton Lomask. This was not an overly thick book but it seemed well done and thorough. It probably wins the “best find” award for this period of history. This period of history is the time to study both Texas and the Oregon Trail. 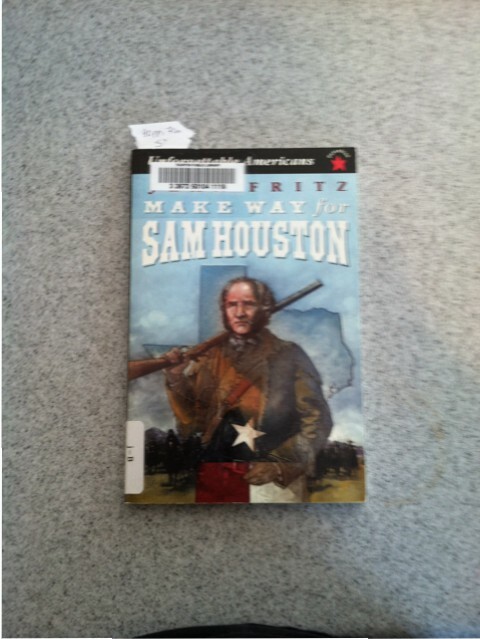 My 5th grader read another Jean Fritz book, Make Way for Sam Houston. I’d place this one at the 5th-8th grade level. 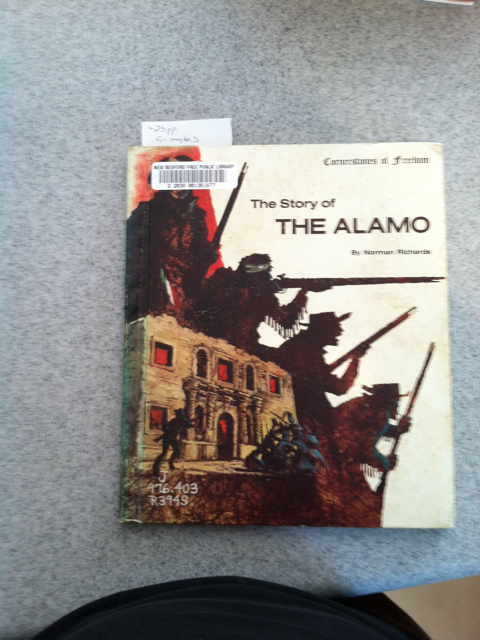 I had both my younger two read The Story of the Alamo by Norman Richards. This is from the Cornerstones of Freedom series which I find well-done. It is a quick read; my 5th grader did it in two sittings and probably could have done it in one. 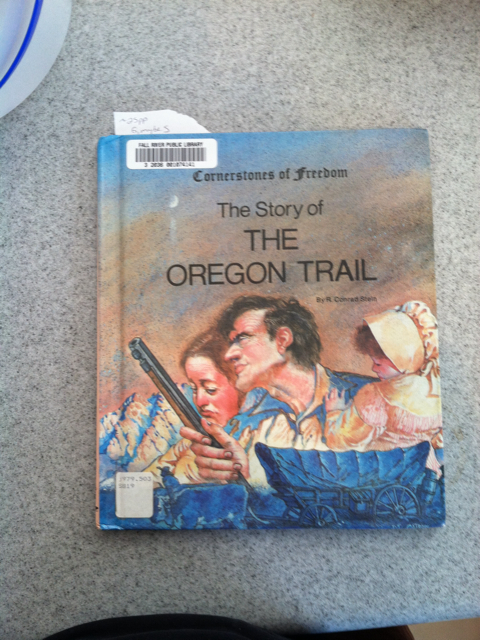 From the same series I also had the younger two read The Story of the Oregon Trail by R. Conrad Stein. My 4th grader also read For Ma and Pa on the Oregon Trail by Wilma Pitchford Hays. Hays is a good author and I like to look for her books. This one seemed like a riveting story with sick babies and other things that kept my daughter wanting to know what happened. 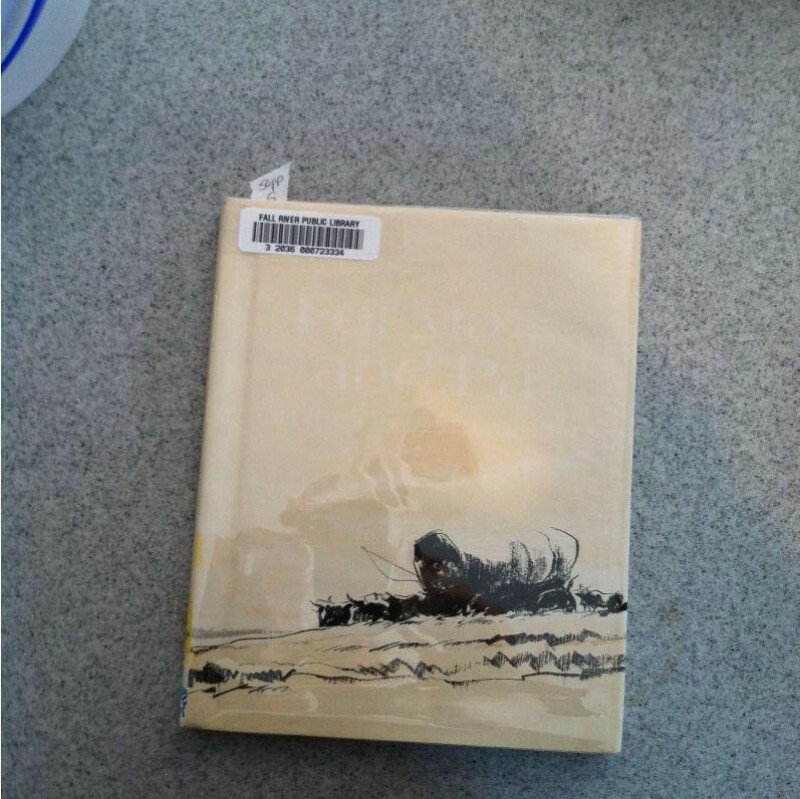 This is “For Ma and Pa on the Oregon Trail.” The title is almost illegible but it’s there. 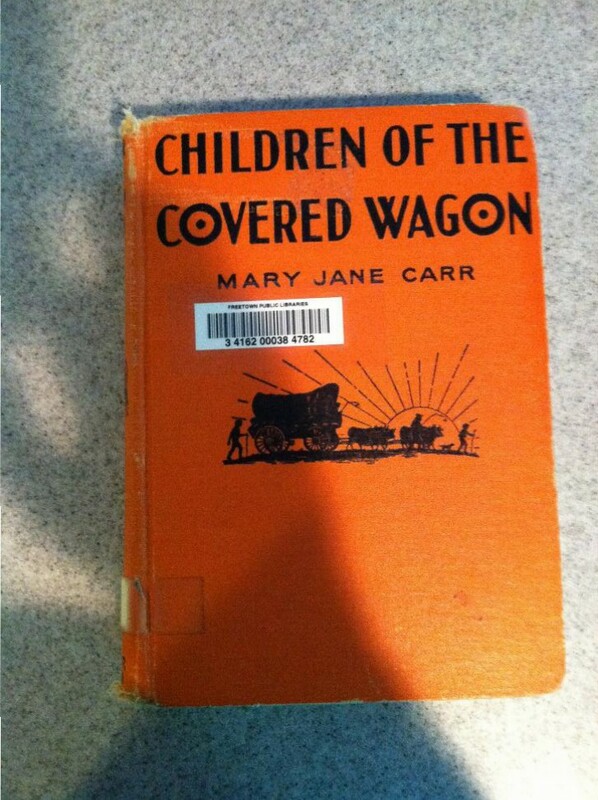 We didn’t get to Children of the Covered Wagon by Mary Jane Carr, but I loved the look of this book (literally, it has that old, good book look) and might even check it out again next year if I can find a way to fit it in. Doesn’t it just look like a good old book? 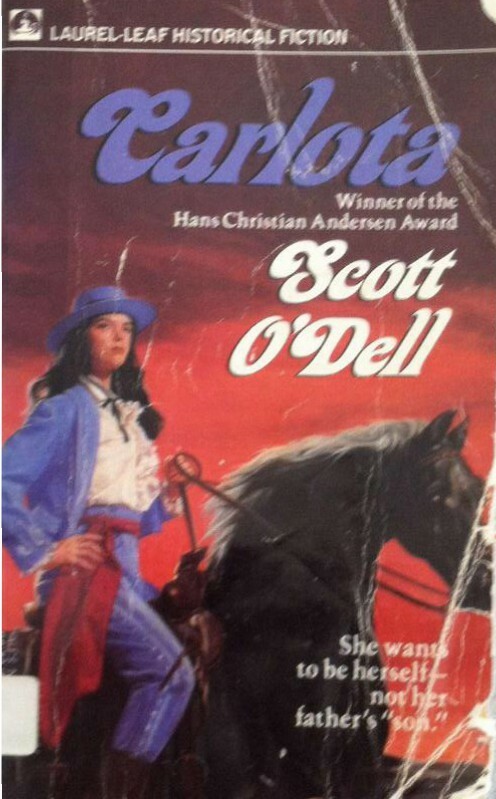 On the settlement of California, a book I checked out but didn’t use was Carlota by Scott O’Dell. 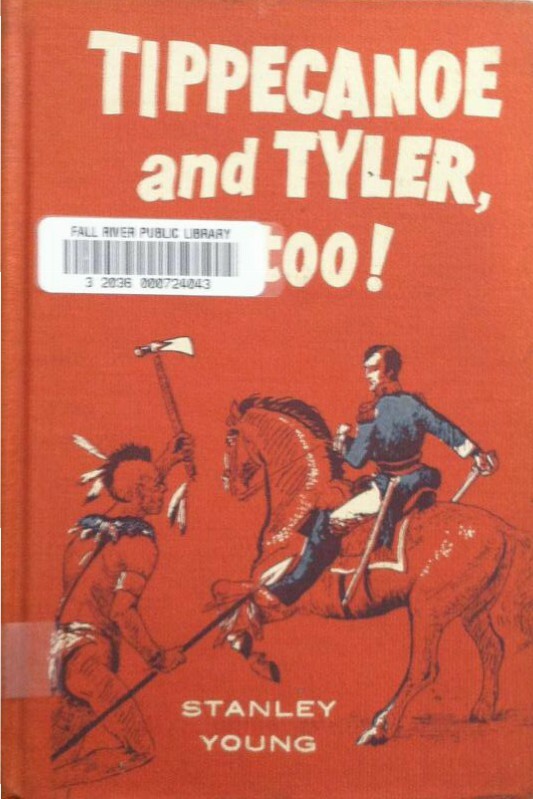 O’Dell is a well-known author who has a lot of books set in settlers’ days. I wished I had time to make someone read this one but couldn’t fit it in. And that’s it until next year when we’ll start with the run up to the Civil War. Any don’t-misses for that period?